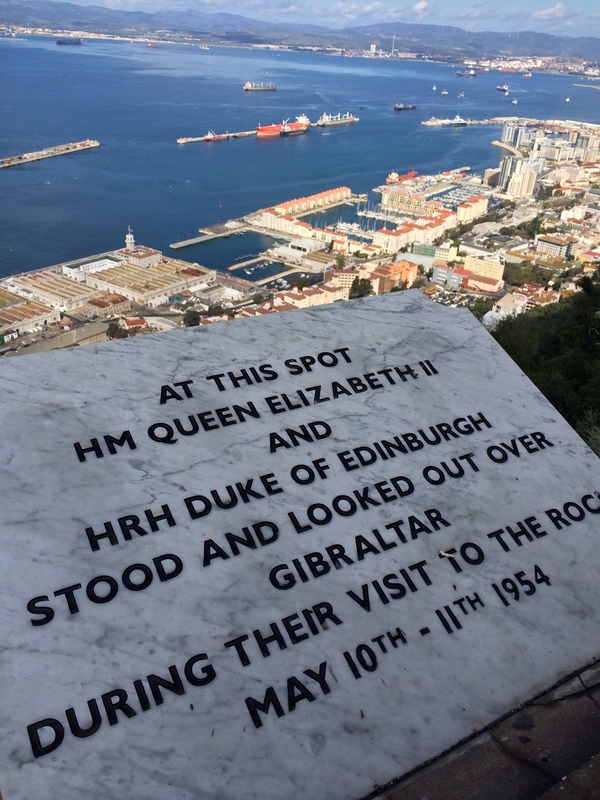 As is usually the case with travel adventures, Steve and I had dozens of other experiences on our recent trip that intrigued or edified or tantalyzed us. But I didn't write about them because to be interested in most of it, you had to be there. 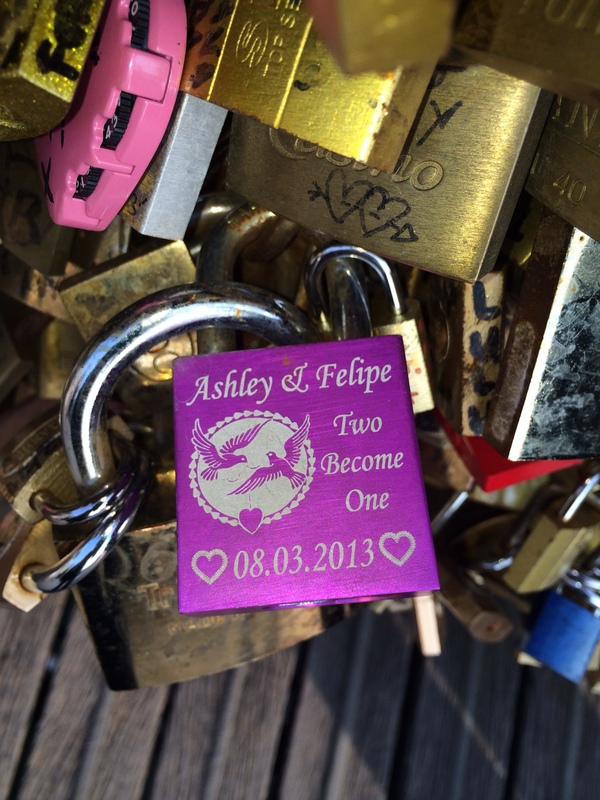 The only remaining item I feel drawn to report on is our experience with the love locks of Paris. 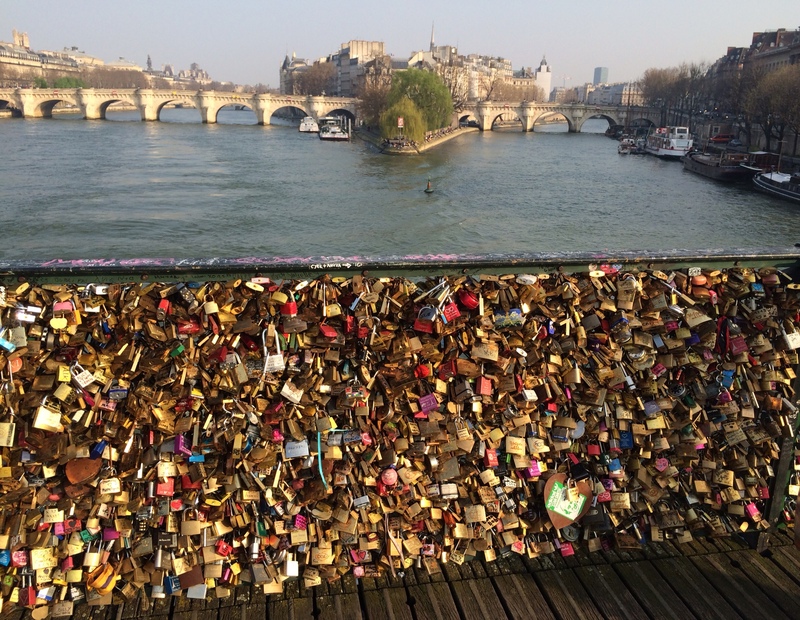 When Steve and I first went to Paris together in March of 1974, there were no love locks. 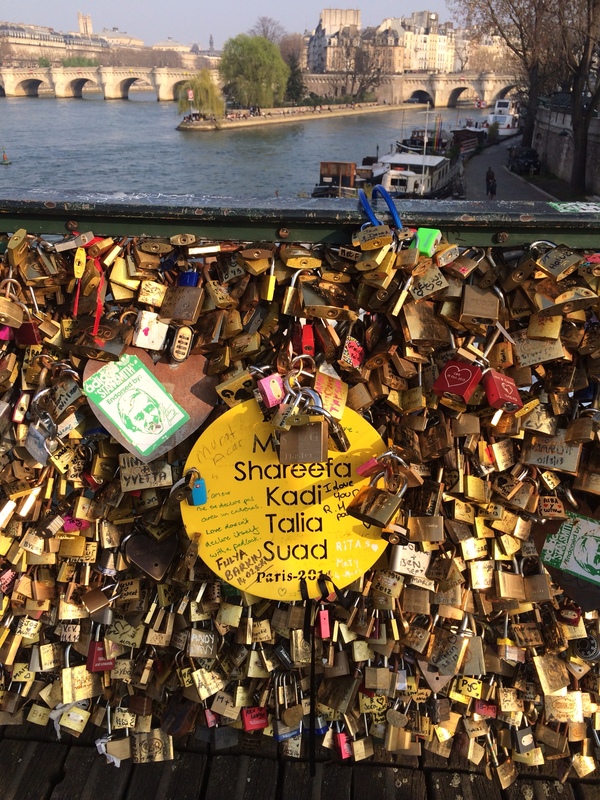 Their exact origins are murky, but a common explanation is that sometime in the early 2000s, lovers began writing their initials on locks and attaching them to the metal bars of Paris's Pont des Arts. 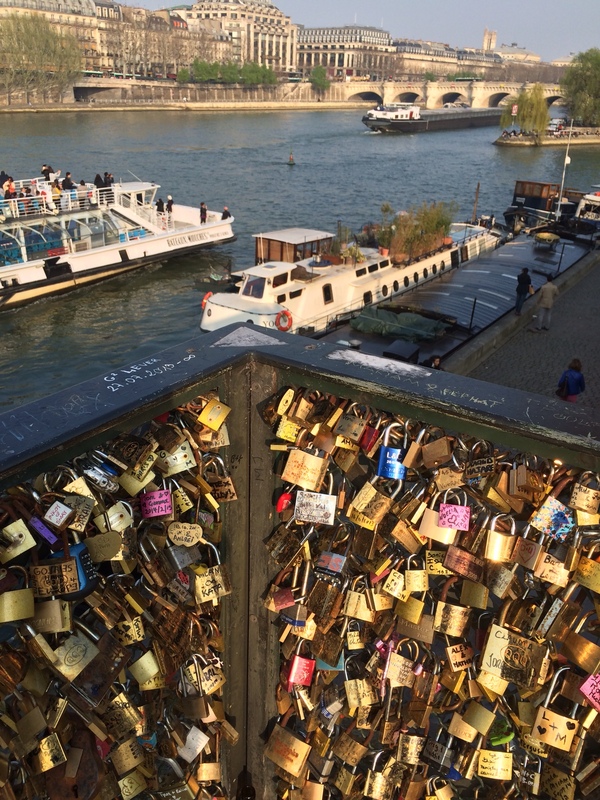 After securing the locks, each couple threw their key into the Seine — a symbol of their commitment to each other and to Paris. 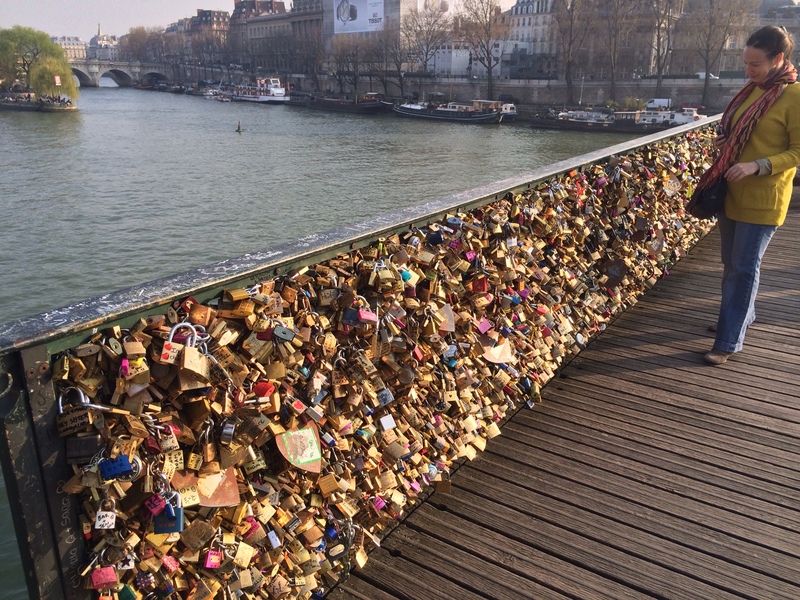 So many locks came to adorn the Pont des Arts that Paris city administrators periodically have ordered them removed. But the locks have reappeared and the concept has spread to other cities ranging from Taiwan to Toronto. I discovered this when I was planning this trip. Somehow, I'd never seen them anywhere. I wanted to rectify that, and as I thought about it, I decided I should surprise Steve with a love lock of our own. The Pont des Arts isn't that far from the Pompidou Center, so after we finished touring the Cartier-Bresson exhibit, I suggested we stroll there. Olivia was busy; we planned to rendezvous later. The afternoon was taking on the golden glow that develops when the weather is fine, and as we approached the bridge, all the locks adorning it gleamed. …while most are plain. Any one of them, alone, would not be eye-catching. But as a communal art work, they have a textured beauty. We searched for a spot that could accommodate our lock (which I had bought at the dollar store in Pacific Beach and on which I had painted our initials in pink nail polish.) We found a free patch in a corner facing the Ile de la Cite. We clicked it into place then asked a passing young woman to photograph us next to it. She looked like she was hurrying somewhere, but then she took shots from seven different angles — making sure to capture one we would like. We thanked her, moved to the center of the bridge, then hurled the key into the river. I heard a guy in his 20s exclaim in pleasure at the sight of us. I'm not sure we've ever done anything quite so sentimental before. It's not my style, nor Steve's. But adding our love lock to the bridge in Paris made us smile. I hope I have a chance to return sometime and look for it. 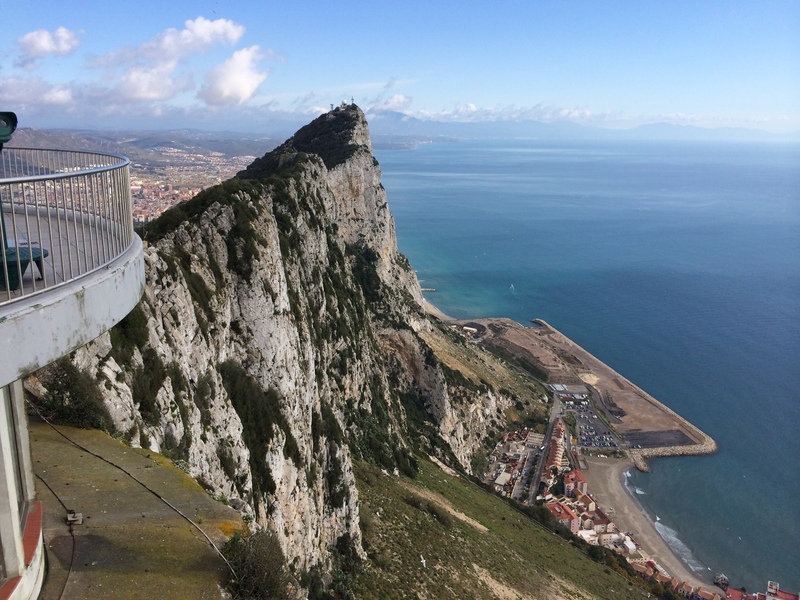 We found the town of Gibraltar to be a bit wierd (those phone booths!) and a bit boring. Saturday night we had our only bad meal of the trip: overpriced, mediocre food for which we had to wait more than two hours because the assistant chef(s) didn't show up for work. From time to time, when the doors to the kitchen opened, we heard the remaining chef hurling curses in Spanish. When the doors were closed, we had to listen to a wannabe Bobby Darin on the sound system singing “My Way” and one other song. The two-song tape looped over and over again. I stopped counting the 10th time it played. 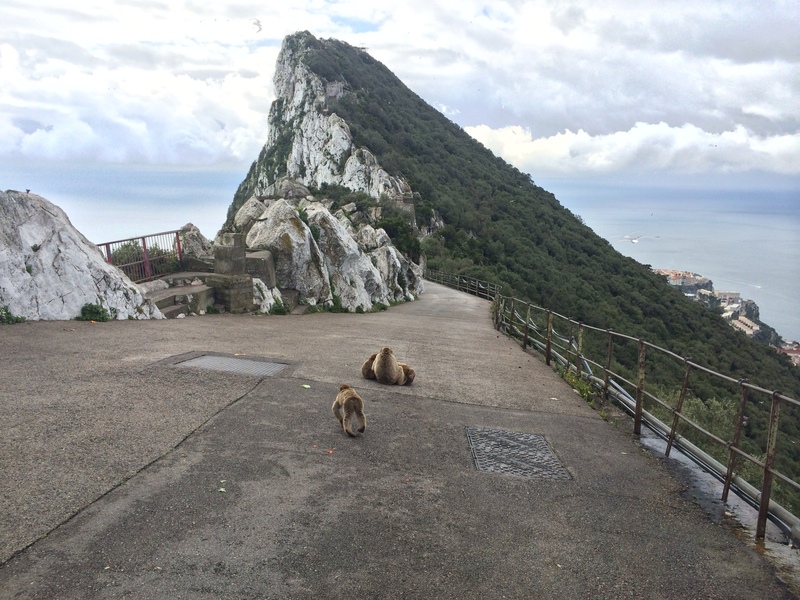 and troupes of Barbary apes. 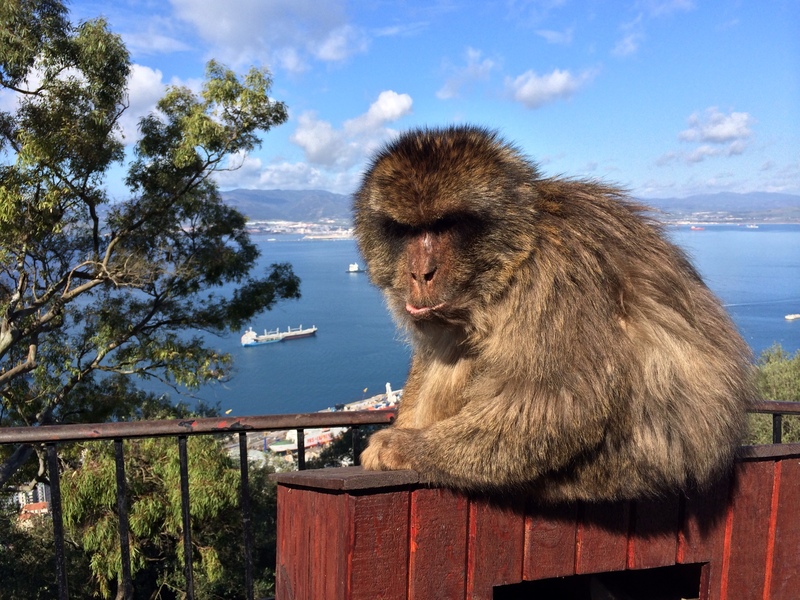 Unlike the ones we saw in the Moroccan cedar forests, these were acclimated to tourists. (Somebody obviously has been ignoring those threats of 4,000-pound fines (!) for feeding them). 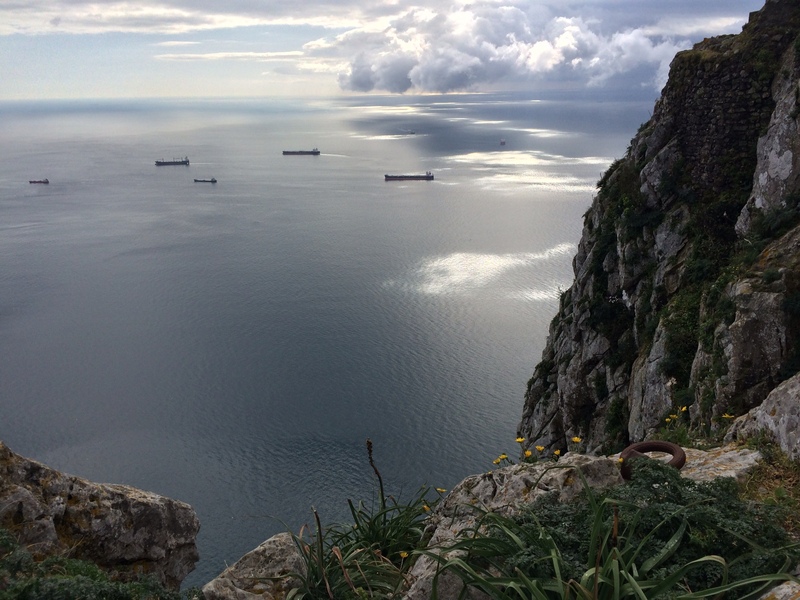 We saw more tankers than we've seen anywhere else in the world. And we ran out of time before we were able to explore the whole preserve. Alas. Because we're pretty sure we'll never be back. 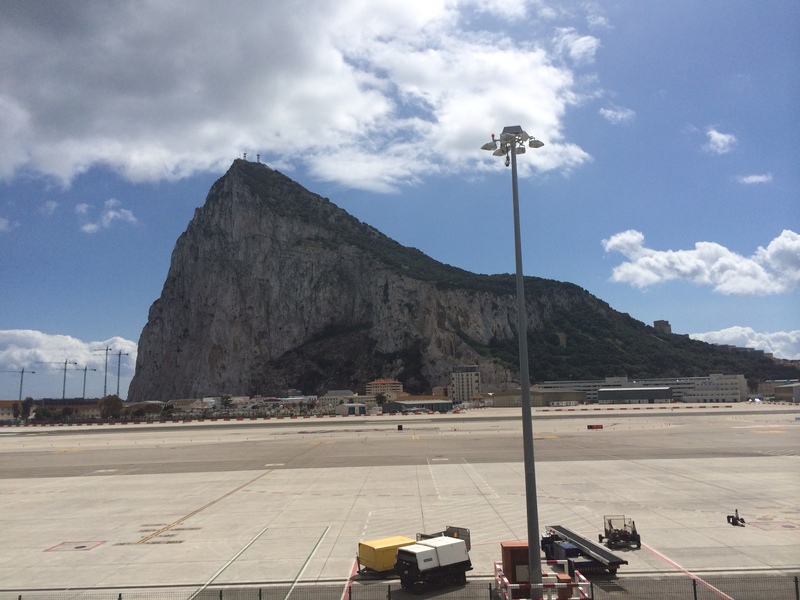 The Rock as seen from Gibraltar airport. A city street bisects the runway.. 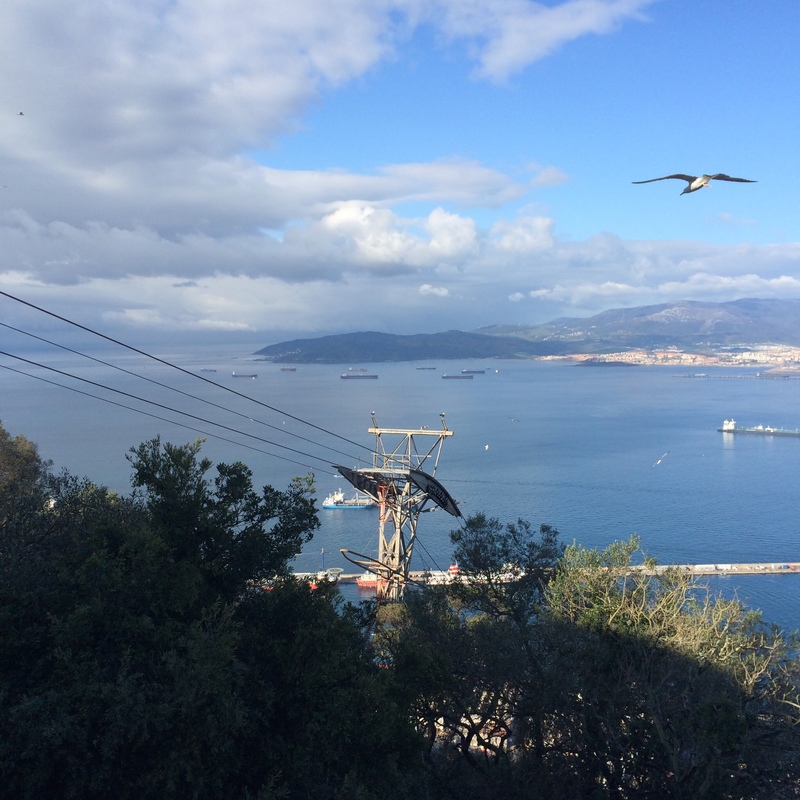 They just stop the traffic when it's time for one of the half dozen or so flights a day to take off or land.